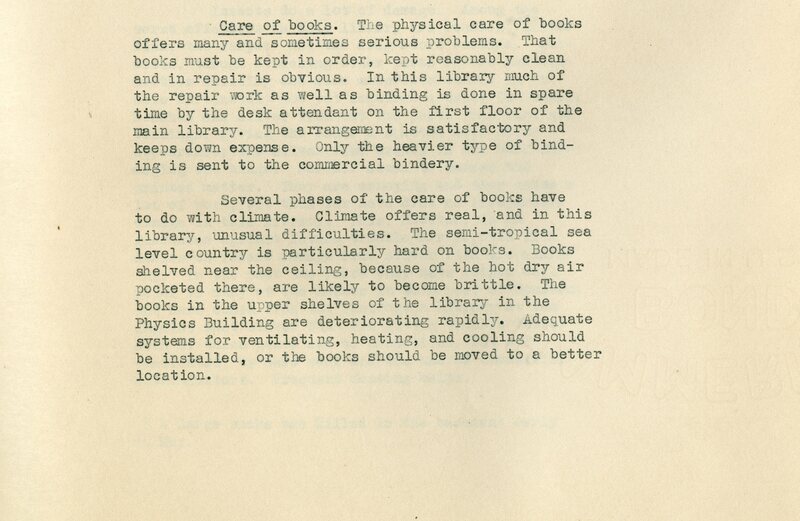 Despite the entomological title, this is actually a post about the library. 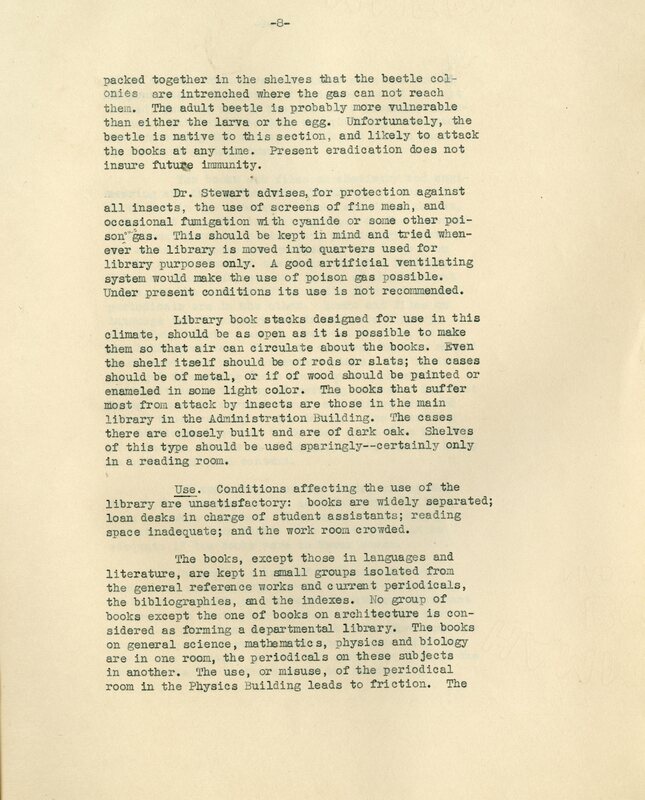 Miss Alice Dean, who ran the library for roughly 40 years, wrote a report at the end of spring semester in 1935 that thoroughly covered every aspect of its operations. This was a difficult moment–books were scattered across several buildings, many housed in spaces that were less than ideal for a variety of reasons. And the collection continued to grow, making the problem worse each year. 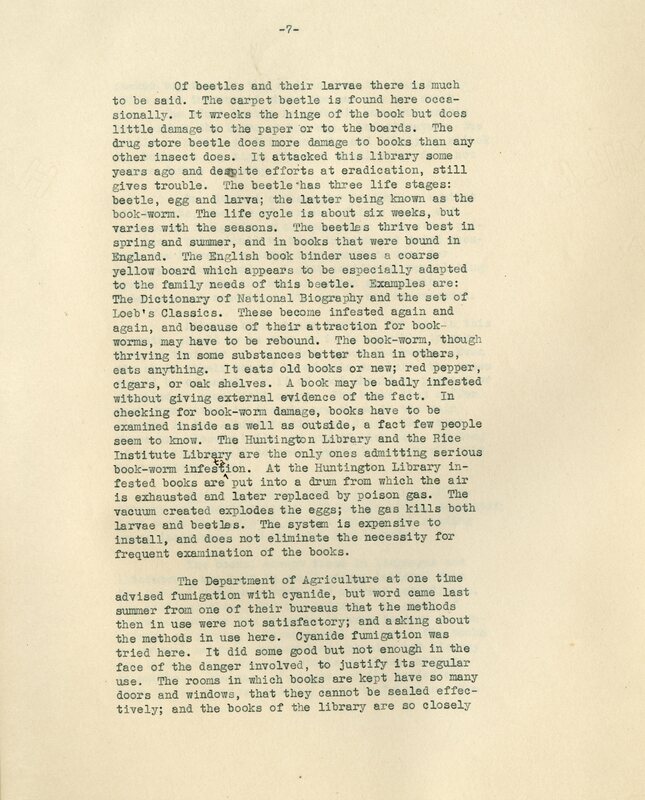 It’s a long report and not an especially cheery one but the most disturbing section was the part that covered issues relating to the care of the books themselves. There is an unsettling amount of wildlife involved. The part about the snake in the basement of the Administration Building frankly gives me the willies. I go down there frequently. 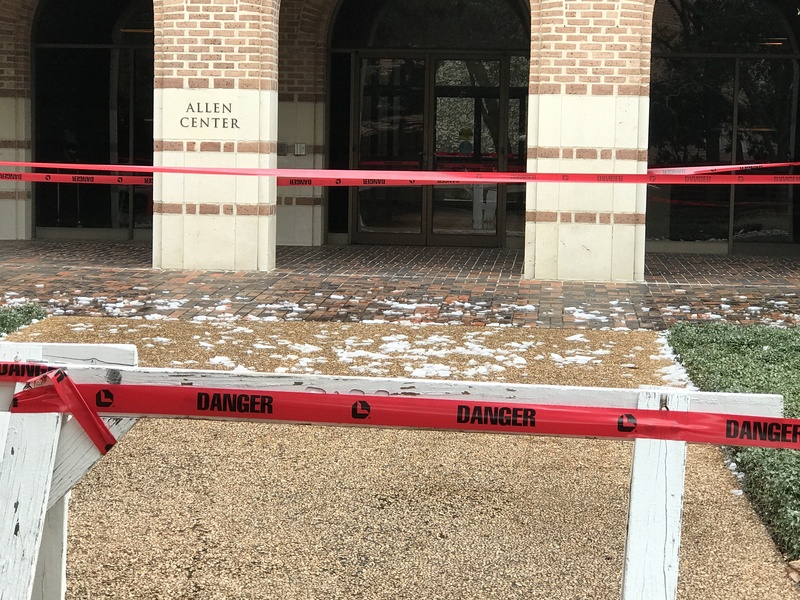 Bonus: Most dangerous building on campus! 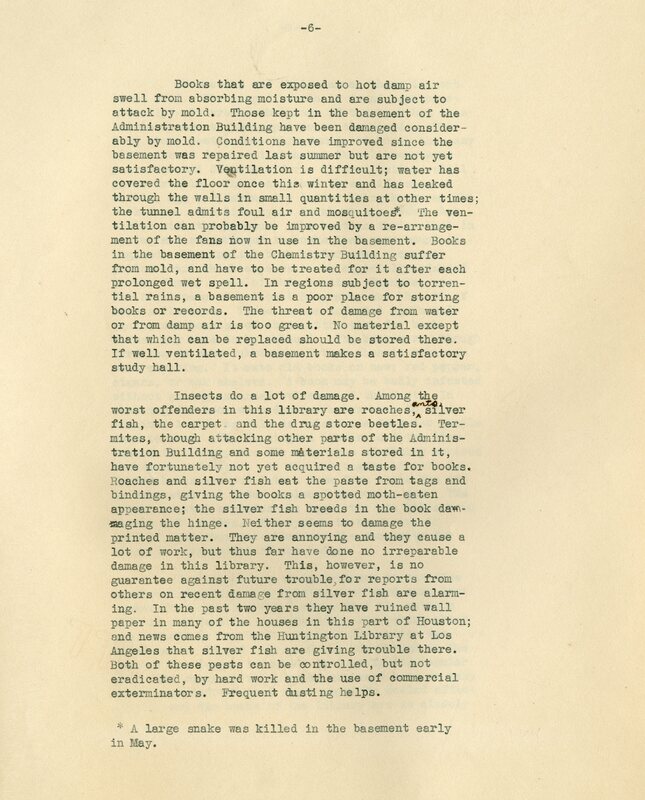 The recommendation for a fumigation system with good artificial ventilation matches well with the gas chamber and antechamber that was in the basement of Fondren when I started work there in the summer of 1967. I thought that was for repeat overdue book offenders.